With an adaptable axle and suspension offering that has proven itself in the Australian market, Fuwa K-Hitch has become a key piece in Australia’s high performance vehicle puzzle. With a firm commitment to the often-quoted actions speak louder than words adage, Australia’s transport equipment industry has developed a distinctly hands-on approach towards commercial vehicle design that has seen it rise to a global leadership position in the field. Nowhere else in the world is high productivity freight vehicle (HPFV) design more advanced than down under, and nowhere else are transport businesses able to unite OEMs, government authorities and local councils in creating the kind of equipment that hasn’t even been thought of before. The result is a transport equipment scene that is more vibrant and creative than anywhere else in the world, with a healthy sense of pragmatism and unique openness to the design challenges of tomorrow. The International Truck, Trailer & Equipment Show (ITTES) held in Melbourne last month again showcased that ingenuity and provided a forum for the transport community to explore what may be next on the agenda. 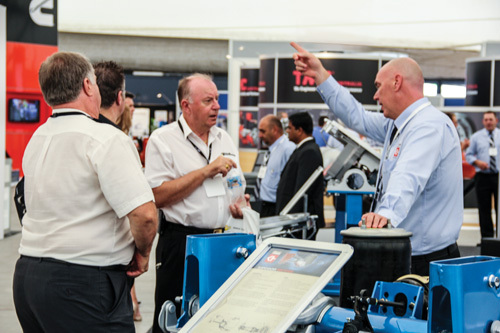 While not exhibiting at the Show, the leadership team behind Fuwa K-Hitch used the opportunity to join the debate and find out just how its expertise in the axle and suspension field could benefit the industry. 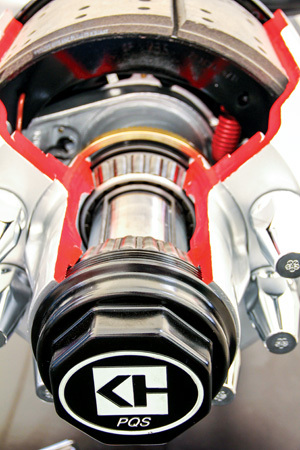 Especially in the HPFV field, the company’s unique axle and suspension package – based on Fuwa’s famous one-piece forged axle beam – has seen increasing uptake of late, says National Sales Manager, Chris Barrett. “We have created a reliable, affordable, and almost fool proof system that adds incredible value to the kind of Performance-Based Standards-rated equipment Australia has become famous for. He adds, “Whilst tare weight is always a buzzword – particularly around these new and innovative HPFV and PBS vehicles – it is also important not to become solely focused on this and a ‘one size fits all’ regime. “These designs are certainly outside the box and include very high centre of gravity, increased loadings and dimensions, so it is vital that the running gear is specified around these requirements. 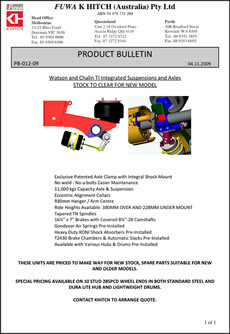 As such, the equipment supplier should be included in discussions to maximise the life and integrity of the components, which in some cases might mean sacrificing some tare weight for a more robust platform,” he says, revealing that engaging with fleets face-to-face and understanding their needs is the key to long-term success in a fast-paced market like Australia. Fast Fact: At the Melbourne Truck Show, Fuwa K-Hitch equipment was featured on a PBS-approved 26-pallet quad-axle Lucar van. The 15.7m reefer was equipped with three standard drum-braked FKH axles, a steer axle, and VDL Weweler’s 11-tonne air suspension system – also on the lift axle.